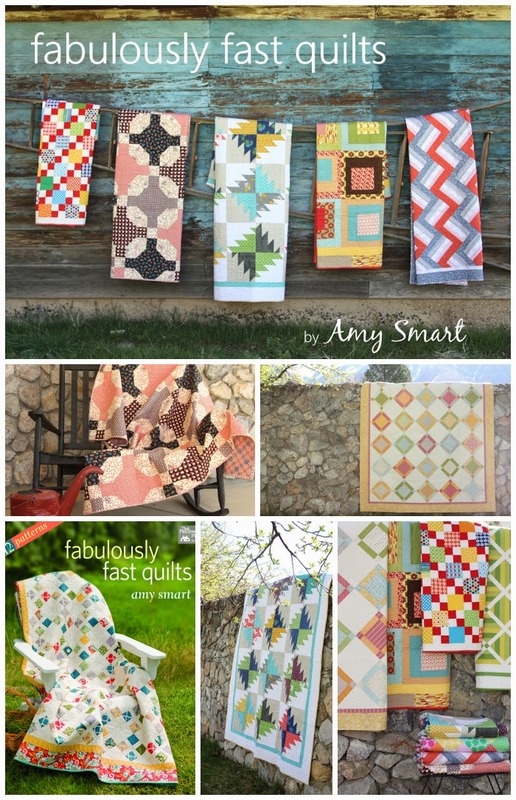 Released in Spring 2014, Fabulously Fast Quilts, my first solo book, is a collection of 12 patterns – many that are pre-cut friendly -using quilting short cuts to help you create quickly. Some of these patterns are faster than others, but all use techniques to help you save time. and if you’d like a signed copy from yours truly, you can order one through my shop. Fabulously Fast Quilts was one of publisher Martingale/That Patchwork Place’s top 5 sellers for 2014! Some patterns are inspired by traditional designs and methods, and others are hopefully something new entirely. I want this to be a good resource for finding a selection of quick go-to quilt designs.